The Goldfield area has gone through some positive changes in recent months. 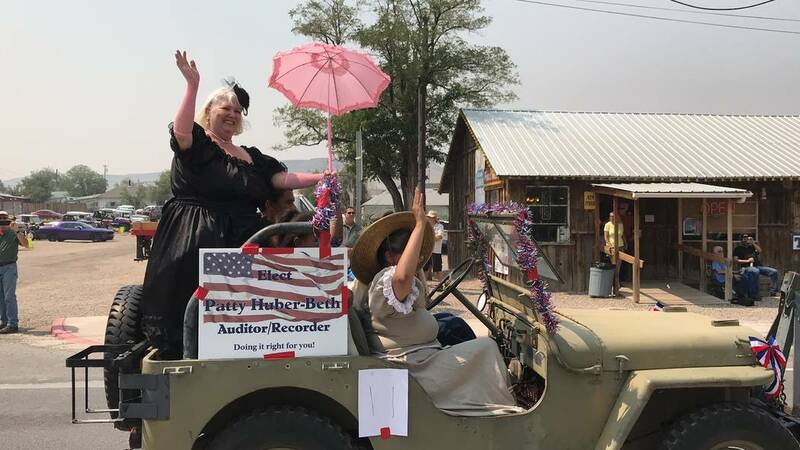 Jeffrey Meehan/Pahrump Valley Times Patty Huber-Beth, president of the Goldfield Chamber of Commerce, waves to the crowd during the parade during Goldfield Days. Dozens of eventgoers lined the main drag of the town. Jeffrey Meehan/Pahrump Valley Times Individuals dressed in period-specific clothing make their way through the crowd during the 2018 Goldfield Days' venue. Dozens of people stop by to check out Goldfield's wares. 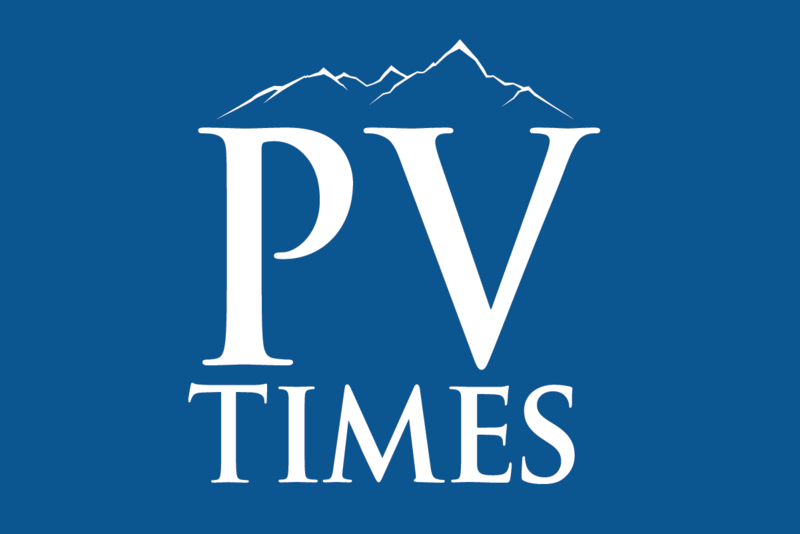 Patty Huber-Beth, president of the Goldfield Chamber of Commerce, talked with a reporter from the Times-Bonanza during the Goldfield Days about some of the advancements the town has been experiencing, along with the impact of Goldfield Days. Huber-Beth said the RV park in Goldfield reopened in recent months after being closed for the last several years. Esmeralda County property records show a sale of the property was logged at the end of March 2018 to Scott and Dianna Lamb. Huber-Beth said a bed and breakfast, and some other properties in the area, have landed on Airbnb, and the owner of the Goldfield Hotel, Red Roberts, is looking to have the first floor open by April 2019, she said. 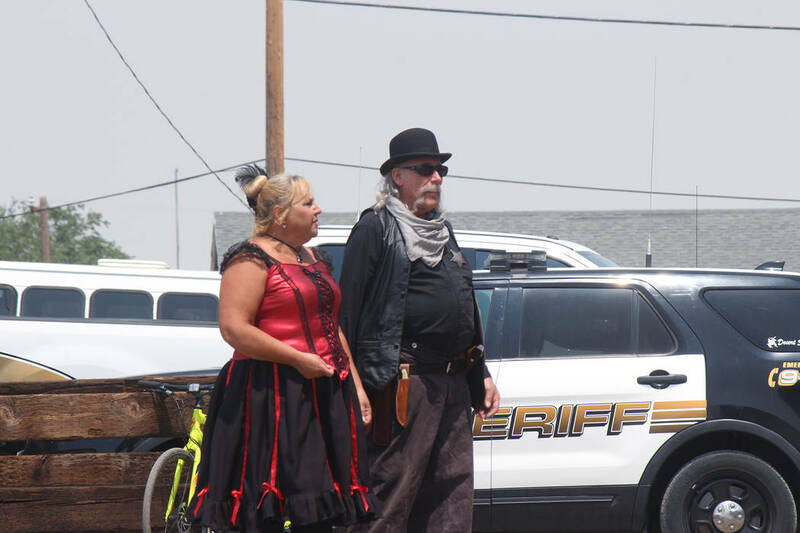 The Goldfield Days event also brought good fortune to the local area. “It’s really been good,” said Gina Greenway, owner of the Hoist House, during the three-day venue. Greenway said it had been “packed” for two days at the Hoist House during the annual event. Though an expansion in the number of rooms has occurred, Huber-Beth doesn’t think that there are enough funds coming in to make a room tax viable to finance such things as having part-time workers in the chamber or the new visitor center that opened earlier in 2018. “… There’s a few more than we originally had, but it’s still a very small amount,” she said. Huber-Beth said Dyer, which sits about 70 miles from Goldfield, and is still in Esmeralda County, doesn’t have a chamber of commerce. Goldfield Days is the largest event that the chamber puts on, she said. The chamber has about 30 members, which Huber-Beth points out is equal to about 10 percent of the town’s population. Some of the members are not locally based. The membership base includes some mining groups and other things like that, according to Huber-Beth. Some of those entities do sponsor events, she said. Another thing that has come to light in tourism in the Goldfield area is the opening of the Goldfield Visitor Center earlier this year. The center is being staffed by a couple that watches over the facility part-time. Jeri Foutz, who purchased what was once known as the Elite Trading Post, spearheaded an effort to get the visitor center operational. The building was funded through a partnership between Esmeralda County and the Nevada Department of Transportation. The cost of the center was more than $700,000, according to a news release from NDOT. Foutz is also working on bringing more available rooms for travelers to Goldfield.